It’s no surprise that communication has evolved well beyond texting and emails. People can share information more readily on social media and connecting is easy and often constant, making it a key part of forensic investigations. 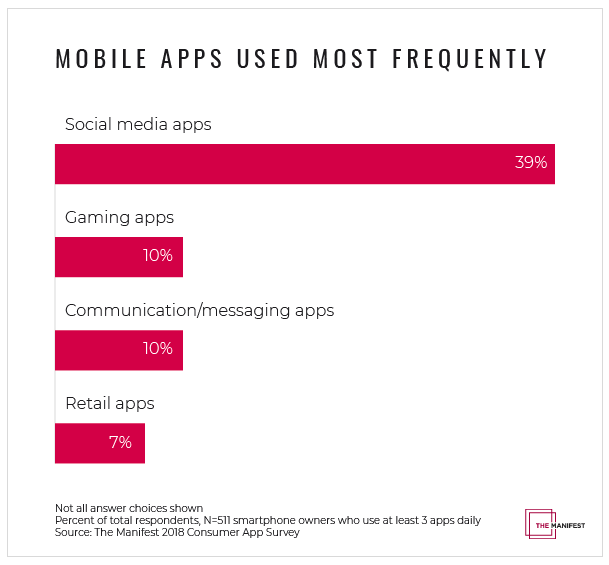 According to a 2018 survey by The Manifest, smartphone usage is dominated by social media app usage. Messaging components within social media apps can become the primary communication source for some, particularly if it’s the place a conversation originates. Additionally, posts on sites such as LinkedIn, Facebook, Instagram, and Twitter can be useful to obtain relevant information pertaining to content, time and location. Social media apps are always evolving and security settings seemingly change on their own to become less secure as app providers attempt to push more content to the user. This may result in content unknowingly cached and available for analysis on devices rather than secured behind their account, requiring cooperation or a subpoena. ITAcceleration has the knowledge and experience to conduct even the most complex social media investigations. We use a variety of tools to capture publicly available social media posts in real time as well as cached and deleted information on hard drives and smartphones. The information stored on computers and phones can provide some surprising evidence not considered or recovered by the opposing counsel. Additionally, having the ability to corroborate who had access to the account, when and where, or if the account was comprised, may provide significant evidence of third-party wrongdoing. Keep in mind that when scoping the evidentiary benefit of what to investigate, social media apps are increasingly providing a treasure trove of content and messages. Contact us to review your needs without obligation.